Stubborn old man. Also won't bat Taylor seventh. Keeeeeeeeeeeeeeeeeeeeeeeeeeeeeeeeeeeris te I hope we win this one or the wolves will be at the door. Criminally stupid decision, but that's what he does. Still enough talent on our side to win the game despite the corpse in the dugout. I will add my opinion to this thread. I would have sat Werth and have Kendricks or Lind (2nd choice)play left. I'm good with Turner at this point but if he 0- fers this game and the Nats lose I would start Difo tomorrow. Also the same goes for Werth tomorrow. Keeeeeeeeeeeeeeeeeeeeeeeeeeeeeeeeeeeriste I hope we win this one or the wolves will be at the door. Would have liked seeing Werth out. But wtv maybe he has a clutch hit left in him. Have someone call you out of the meeting for an emergency. Amazing. Why didn't I think of that? Listening to Rizzo makes me nervous. I'll be in the air on my way to JFK for the entire game. Ugh. The numbers 7 is considered a "perfect number" under Hebrew tradition. Lamech, the father of Noah lived for 777 years. Christian denominations consider seven to be a holy number because Genesis says that God rested on the 7th day and man was created on the 6th day. Because God rested on the 7th day, that is the reason for the observance of the Hebrew Sabbath on the last day of the week. The 7th day of the week is indicated on the Hebrew Lunar calendar containing 13 months of four weeks each. According to the American publication, the Orthodox Study Bible, 777 represents the threefold perfection of the Trinity. In Unix's chmod, the value 777 grants all file access permissions to all user types. 777 is used on most slot machines in the United States to identify a jackpot. Skippy, PM me your phone number and I'll call you with an emergency so you can bolt from work. How do you know that Mitlen ? You pretend to work every other day and there ain't even a game. They won't even notice. 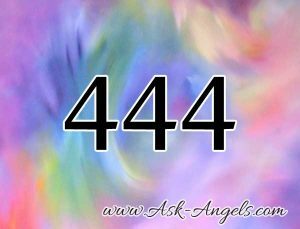 Seeing 3-digit number patterns like 444 is a sign that you’re receiving divine messages from higher realms. The angels want you to know that they are close by to assist you in your life journey. Because you have free will, they cannot interfere in your life until you give them permission. All you have to do is ask them for help and guidance, and they will be ready to help you. OKAY... HEY ANGELS, WE WANT TO WIN THE GAME AND SERIES. HOME RUNS FROM JAYSON WERTH, TREA TURNER, AND MATT WIETERS ARE ACCEPTABLE. Another possible reason why you’re seeing 444 is that you’re on the right path in your life. 444 is a clear sign from the Universe that you are exactly where you’re supposed to be in this moment of your life. Let's go Nats! Super nervous for this game but feel good with Max starting. We gotta jump on Q first. The shadows will eventually fade and the Cubs will not go quietly. Turner needs to quit being a colossal freak up. Werth and Wieters are lost causes, but Turner needs to adjust. Take the ball to the opposite field. Maybe look for an opportunity to bunt for a hit. They're playing him to bunt. They've clearly scouted him. He's still trying to pull everything. It's really disappointing that neither he, nor the coaching staff can get him to make a simple adjustment to poke the ball to right. He does that, he's basically got a double.